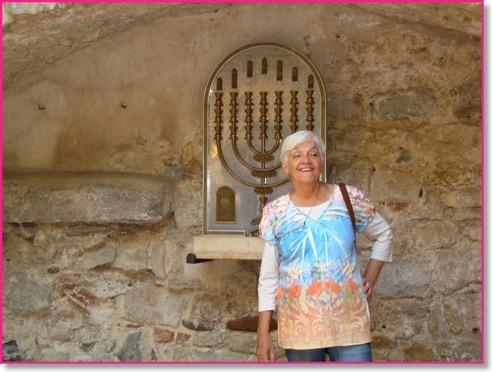 There are myriads of stories about Torahs that have traveled thousands of miles through war and peace. Many these Torahs miraculously survived the Holocaust. When they are restored and find a new home, in some way, they continue the circle of life for the next generation. Since publishing my historical novel, The Nine Inheritors—chronicling nine generations of one family and their ancient Torah scroll—stories about the journey and survival of Torahs have come my way. I felt an immediate connection to a recent article about the journey of a Torah from Mozambique to Johannesburg, where I spent my childhood. The Museum of Jewish History, Girona, Spain. The article marks the gathering of the Jewish community of Maputo, Mozambique, in southern Africa, in the city’s historic synagogue, to celebrate the return of their Sefer Torah. Questions immediately popped into my head. 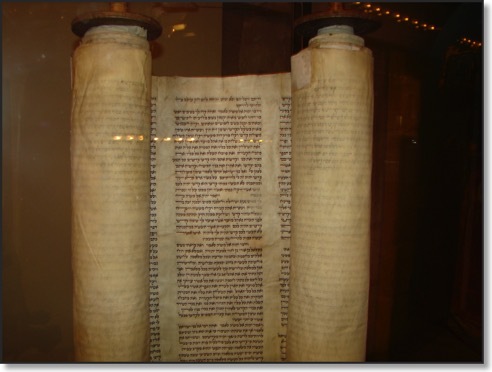 Why and when had this Torah been removed from the synagogue? Exactly where had this Torah been housed and for how long? Why had it been returned now? First, a bit of history.The Jewish congregation of Maputo, established in 1899, with the participation of Jewish refugees from the Transvaal during the Anglo-Boer War, still bears its original name of Honen Dalim ('Helping the Poor'). The synagogue building dates back to 1926. The synagogue, which fell into disrepair, has recently been renovated and rededicated, ready for the return of its Torah. After surviving a long and turbulent history, the Rosen Torah would finally be laid to rest. Their patriarch, Samuel Rosen, wished for his Torah to be a living legacy used by his progeny, not imprisoned behind glass as a memorial. Still, when the fragments of the Rosen Torah are placed on display for all to see in the Wooden Synagogue, Samuel will have fulfilled his obligation, as the ninth inheritor to keep it alive for future generations–symbolically, at least. And as long as there are Rosens to honor this heritage, their story will never end. My Review: People of the Book by Geraldine Brooks skillfully integrates the known facts about the Sarajevo Haggadah with imaginative recreations of its history. The novel demonstrates Brooks pleasing lyrical prose and conscientious, in-depth research. The device of moving back and forth between the present and the past is unevenly executed, often jarring the reading from the poetically rendered history to the brash contemporary heroine's feud with her mother. There were lesser flaws. The side stories about the protagonist discovery that her father was a Jew added nothing to the plot, and her romance with Kamal based on a one-night-stand seemed tacked on to titillate the reader. 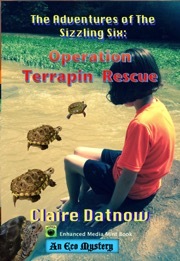 Overall the novel is entertaining and informative.